Andrew Gordon Moore lives and paints in Harthaven, Oak Bluffs, on the Massachusetts island of Martha's Vineyard. He is a realist painter, working in watercolor, egg tempera and oil. As a fisherman, sailor, and self - taught naturalist, the world outdoors is his source. Andrew's work reveals this deep involvement in and appreciation of island subjects, studied through every season. Occasionally, the artist journeys to coastal Maine and other locations adding these images to his predominantly Vineyard-based work. 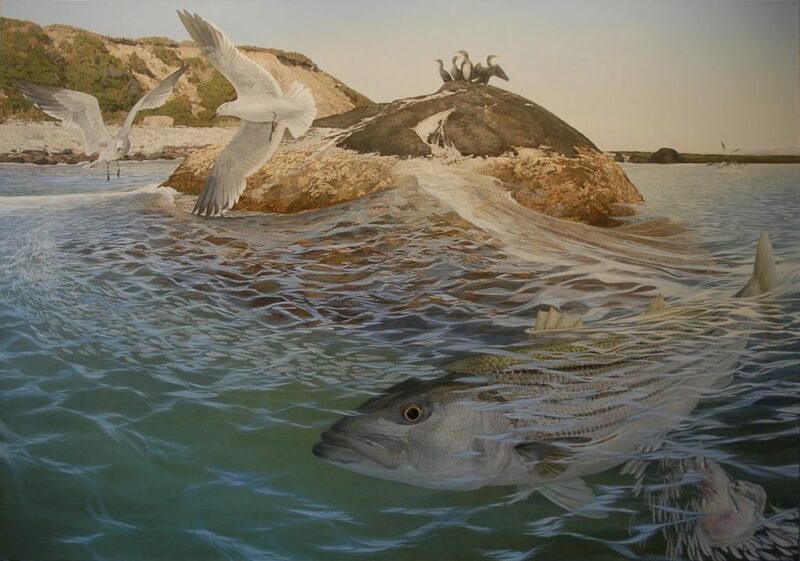 Andrew Gordon Moore's work is represented by the Granary Gallery in West Tisbury, MA. His was recently awarded a 2016 Fellowship from the Massachusetts Cultural Council in recognition of his paintings.